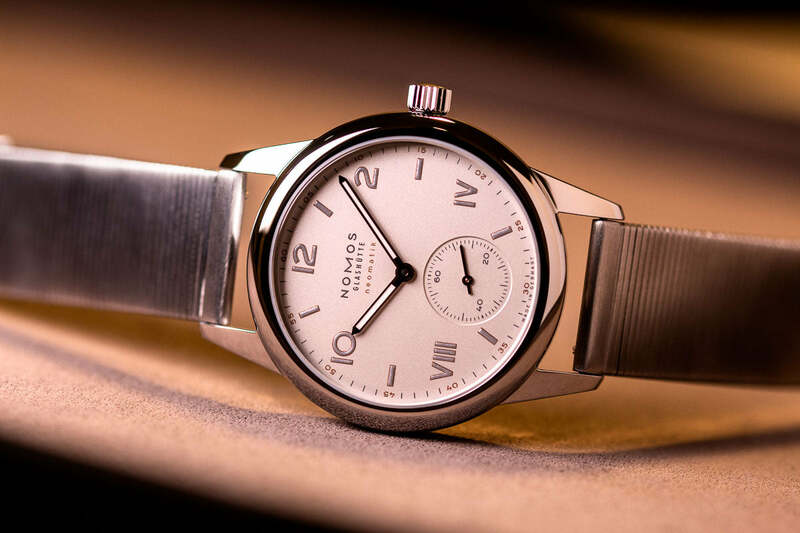 As a team of watch enthusiasts, we’re all big fans of the work NOMOS do. 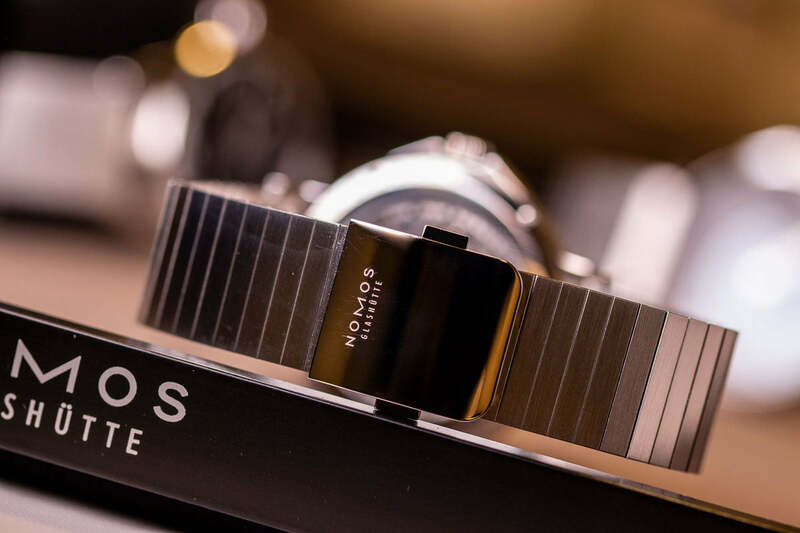 Not only do they create appealing, well designed stylish watches, but the company and people behind the brand are friendly, welcoming and so easy to work with. With this in mind, it was fair to say I was looking forward to our meeting with them at Baselworld 2019 this year. Of course, for the watches but also to chat with the brand representatives. 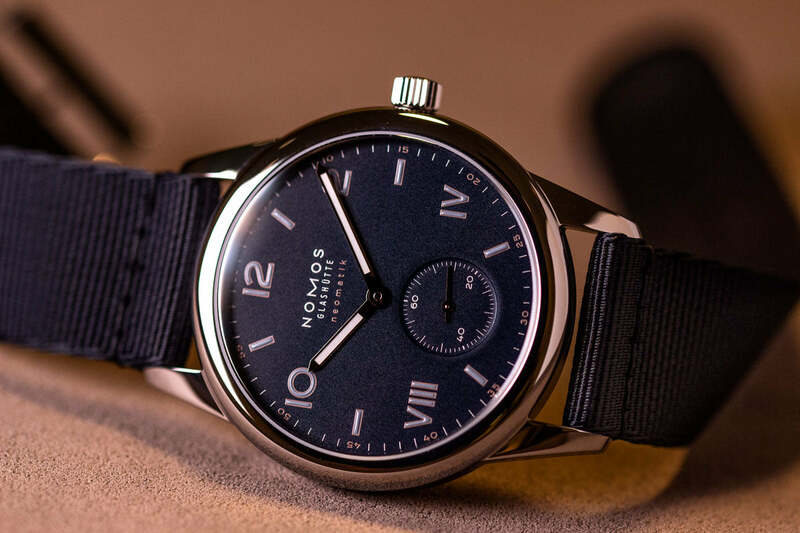 The Updated NOMOS Tangente 41. 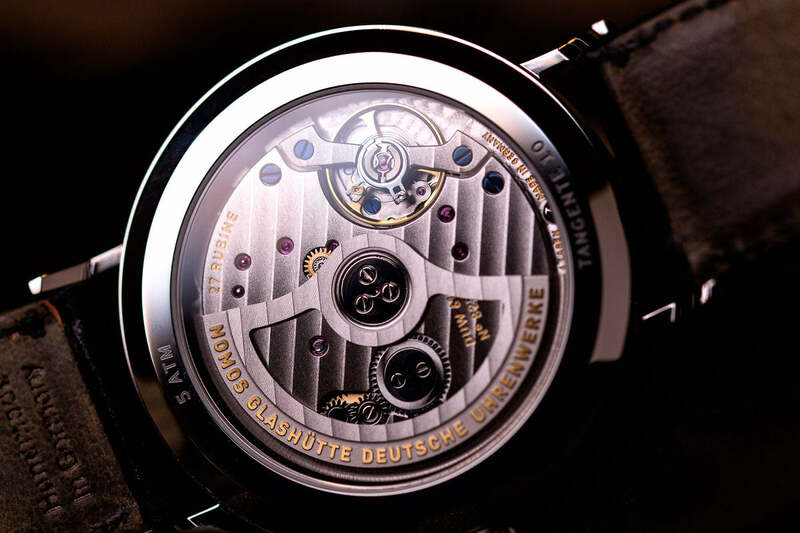 This version of the Tangente was a model we saw last year at Baselworld 2018. This model is now back with a new dial colour. A dark grey/chocolate brown dial can now be found on the Tangente. 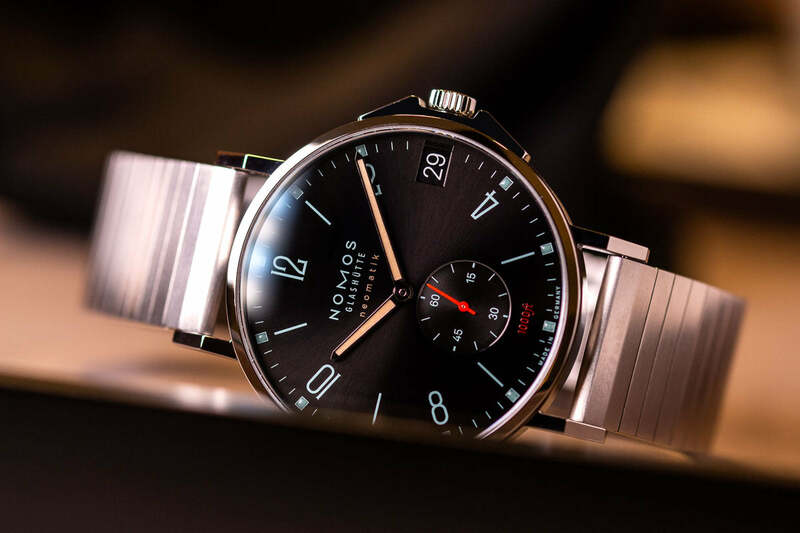 NOMOS call this officially a dark ruthenium. 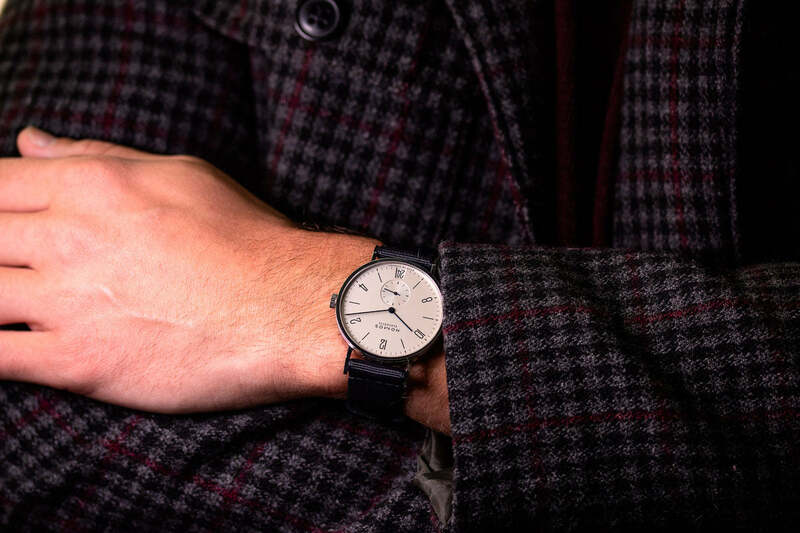 Whatever you decide to call it, the main thing you need to know is that it looks uber sleek on the wrist. The unique approach to the date display with this movement (you need to look at the number between the two red displays) is very subtle as well. Next up a divers watch from NOMOS...? 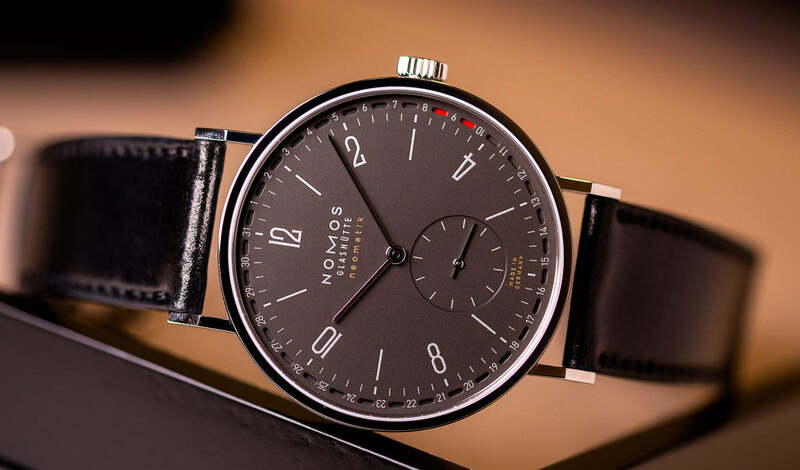 The NOMOS Neomatik Sports Range. No, that’s not a typo, NOMOS has now made moves to get in on the diving watches market with a new sports range. The Tangente and Club ranges are now available in 42mm, with 300m of water resistance (or 1000ft, which NOMOS prefer to say on the dial) and a brand new metal bracelet for NOMOS, in the fact first of its kind for the brand. On the wrist, these models have such a unique look to them. My personal favourite was the Tangente Marine black. A model I wouldn’t have naturally gone for before experiencing the watches, however its crazy sunburst dial, balance of unique shades of popular colours and strong use of lime making it such a cool option. Next up for NOMOS and their 2019 novelties in there updates to the Campus range. Now a Midnight Blue option and a white dial option arrive in the range. A metal bracelet is available for the white dial option which is an overall youthful fun looking option. Finally, 33 versions of the Tangente, Orion, Ludwig, and Tetra. These models all come in at 33mm wide, all combine gold and steel colour and all sit at a very affordable price point. 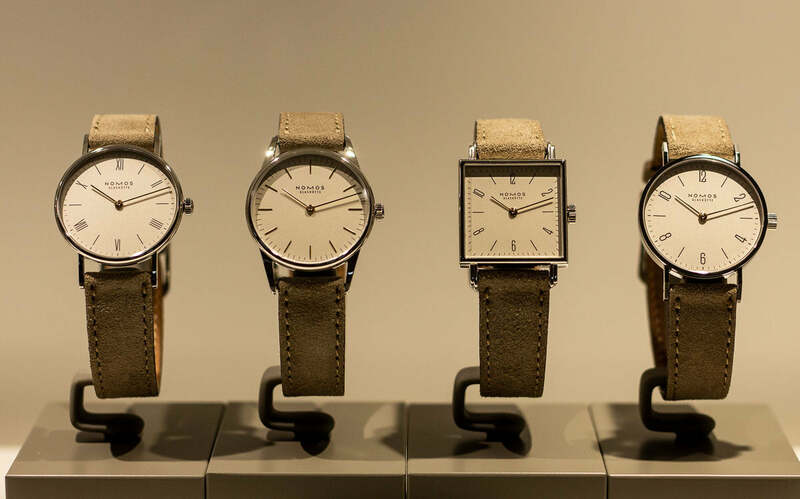 These 33mm models start at 1,170 CHF going up to just 1350 CHF for the Orion model. I like seeing brands release models like these, as it shows they value their designs and consumers demands. These are brilliant options for people looking to combine watches with jewellery of any colour because of the gold hands. 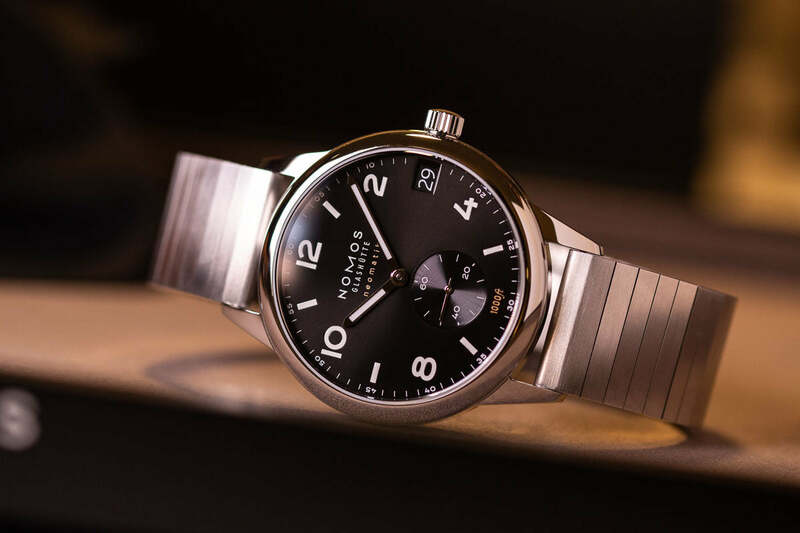 Find out more about the NOMOS Baselworld 2019 releases here!